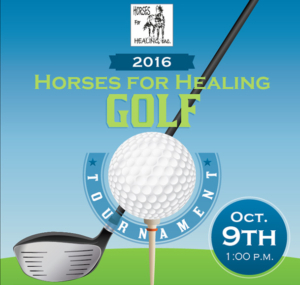 Please join us for our inaugural Horses for Healing Golf Tournament at the beautiful Auburn Valley Golf Club on October 9th! Auburn Valley Golf Club is 175 acres of beautiful fairways, 13 lakes, bunkers in all the right places, and plenty of trees for shade and ricochet shots. The tournament includes 18 holes of golf, cart, range balls and dinner…and you’re helping Horses for Healing Therapeutic Riding Center, serving children and adults with special needs in Placer County since 1997.